The IM4US 7th Annual Conference will be held in two separate buildings this year. THURSDAY: The Preconference will be held in the 3rd Floor Conference Center at Prentice Women's Hospital. Take the elevator to the 3rd foor; the registration area will be on your right. Check in at the security desk on the first for assistance locating the IM4US Preconference. 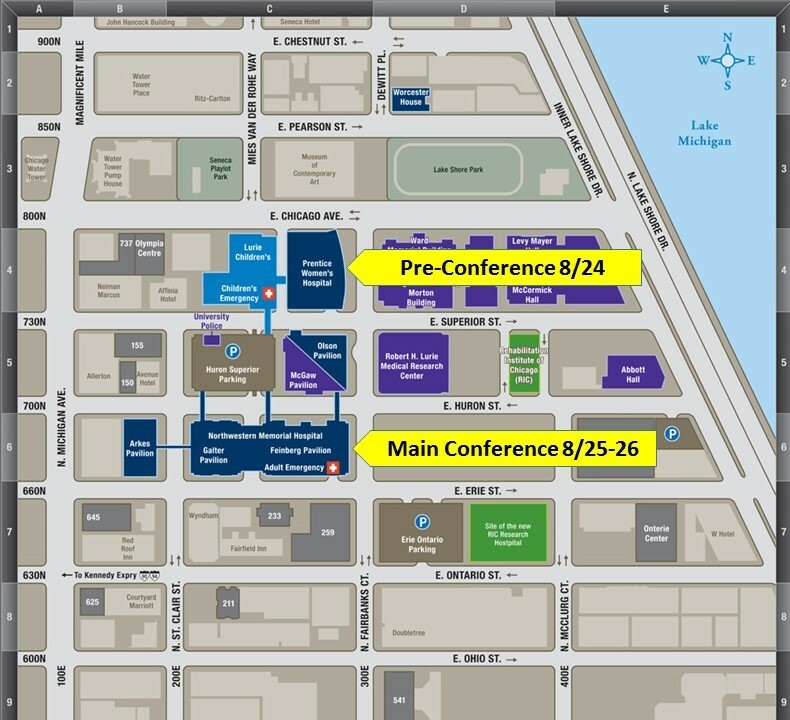 FRIDAY & SATURDAY: The Main Conference and Friday Evening Networking & Poster Reception will be held in Feinberg Pavilion Conference Center on the 3rd Floor of Northwestern Memorial Hospital. Take the escalators to the 3rd floor; the registration desk will be on your left. Check in at the security desk on the first for assistance locating the IM4US Conference. Parking is available at Huron Superior Parking adjacent to both buildings. Parking will cost $12.50/day for IM4US Conference guests. Pick up your discounted passes when you check in at the conference registration desk on the day you are attending. See the map below for location details or scroll further for interactive Google Maps.